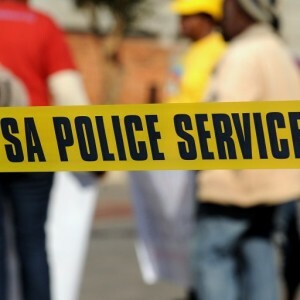 The South African crime statistics released last week reveal an alarming rise in murder and armed robbery. By using their intelligence and investigative resources effectively, the police can substantially reduce aggravated robbery and crimes associated with organised syndicates. Robberies occur when criminals use or threaten their victims with the objective of stealing their property. Most robberies take place in public spaces where, typically a young man or small group of men carrying knives, target people who are on foot. As some of these criminals get more comfortable with street robberies and importantly, they get their hands on a firearm, they progress to attacking people in their homes or places of work. Some specialise in hijacking motor vehicles or trucks. As they become more organised, some will take on more high-risk lucrative ventures – such as committing cash-in-transit heists or attacking businesses in shopping malls. Many of those who commit robberies are linked to organised crime syndicates who specialise in processing and trading stolen goods. The latest crime statistics show that with 132 527 reported robberies last year, there were 364 armed attacks every day on average. Importantly, this crime type has increased by 31% in the past five years. Of particular concern is vehicle hijacking, which increased 14.7% in the past year and 55% in the past four years. This shows that organised crime syndicates trading in stolen goods, and vehicles in particular, are not being adequately tackled. Rather, they appear to be growing in number and expanding their operations. The South African Police Service (SAPS) has, on occasion, been highly effective against the groups and networks involved in robberies. For example, in 2009, the SAPS in Gauteng implemented a dedicated strategy for tackling aggravated robberies in the province. It was managed from the Gauteng SAPS Provincial Headquarters in Parktown and guided by dedicated crime intelligence officers. Experienced detectives were organised into 22 task teams of detectives and given adequate forensic support. This enabled them to identify and target the criminal networks involved in robberies. Within eight months after the implementation of the strategy, the arrest rates of those involved in robberies went up by 100%. The numbers of cases sent to court and those resulting in convictions also increased notably. This strategy had the desired impact, and two years later in 2011, residential robbery had decreased by 20%, business robbery by 19% and hijacking by 32% in Gauteng. It was successful because police work that is dedicated to targeting the individuals and networks who are involved in crime is much more effective than large crackdown operations or random patrols and roadblocks that are largely a hit-and-miss affair. Fortunately, there is cause for optimism in relation to policing at the current time. Under the leadership of acting SAPS National Commissioner Khomotso Phahlane, who was appointed on 14 October 2015, a number of promising initiatives are taking place to improve policing. His ‘Back to Basics’ approach is aimed at strengthening the SAPS National Office’s ability to drive evidence-based interventions throughout the organisation. However, the ability of the SAPS to pursue the organised crime syndicates requires effective crime intelligence. This is where the best plans can be undermined because of political interference from powerful politicians and their supporters. These were used by then acting National Director of Public Prosecutions, Mokotedi Mpshe, to withdraw the 783 counts of corruption, fraud, money laundering and racketeering against Jacob Zuma, enabling him to become president of South Africa. Despite being suspended on full pay since 2012, the SAPS have seemingly been prevented from firing him through a disciplinary process. This became clear when former Minister of Police, Nathi Mthethwa, was reported as instructing acting National Commissioner Nhlanhla Mkhwanazi to halt all investigations and disciplinary action against Mdluli. It took a court order to ensure that Mdluli was suspended. Despite the fact that evidence implicating Mdluli in corruption was successfully used to fire his second in command, Solly Lazarus, in May of 2014, Mdluli has yet to face a disciplinary process. Consequently, the SAPS Crime Intelligence Division has been without a permanent head for the past four years, hindering its effectiveness. Until Mdluli, who reportedly still receives full perks, is removed from the SAPS, it will be difficult to repair the damage done to Crime Intelligence in recent years. Solving high and increasing levels of violence does not, however, lie in the hands of the police alone. While the police play an important role in tackling certain types of crime, they cannot address the root causes of crime that are primarily social in nature. Intervention is urgently needed with respect to factors that increase the risk of violence. These include investing in at-risk youth; keeping children safe and supporting parents; and addressing the role of alcohol, guns and drugs. This article was first published by The Star.